Prostate cancer. 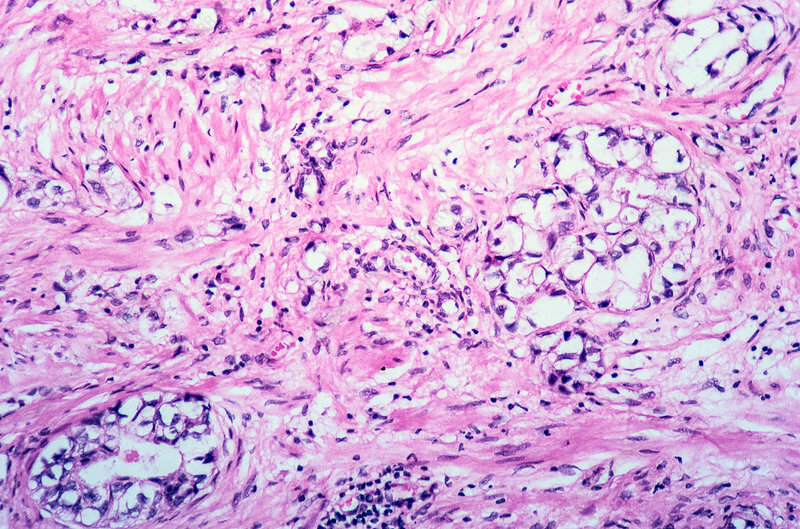 Total destruction of the tissue by signet-ring-like cancer cells surrounded by a dense fibrous tissue. H&E stain.